Task management that relies on spreadsheets, emails and sticky notes can result in chaos, confusion and missed deadlines. At Breathe we believe in making work life as efficient and as simple as it can be, so we’ve worked extremely hard to develop solutions you and your people will love. Our online employee task management software puts everything at your fingertips, keeping you in control of your workflow all day, every day. What is employee task management software? Employee task management software is a system designed to make the management of HR tasks easy. Conventional task management software hasn’t always been built with the SME in mind. Many solutions are complex, and rather than make task management smoother they add to the confusion. 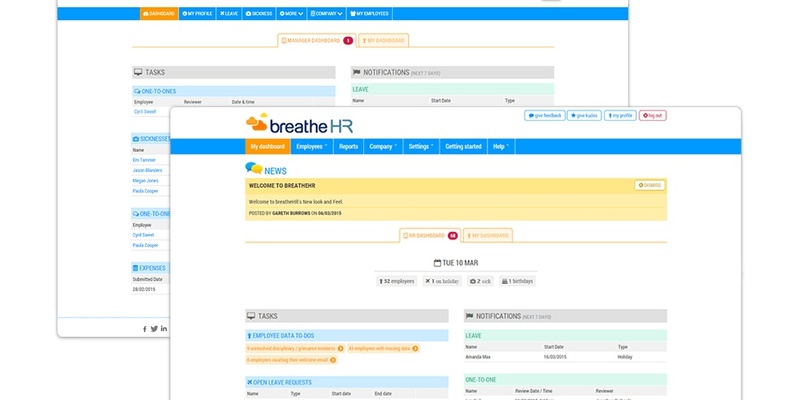 Breathe has developed an employee task management system to help smaller companies. Our software is simple to use and does everything you need to help you stay on track with tasks at the touch of a button. Our employee task management software gives you ultimate control over to-dos. 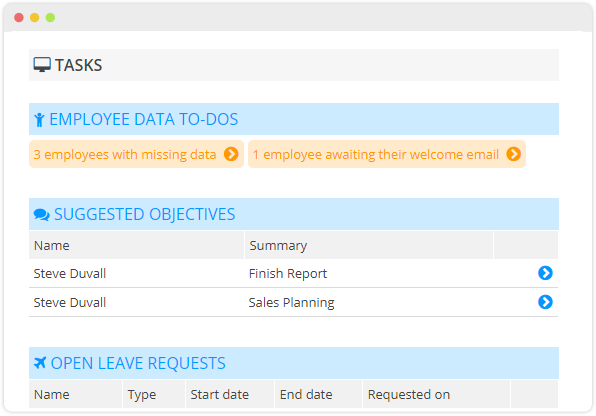 Managers are able to assign employees tasks, create a task reporting structure, monitor task progress, and sync data. 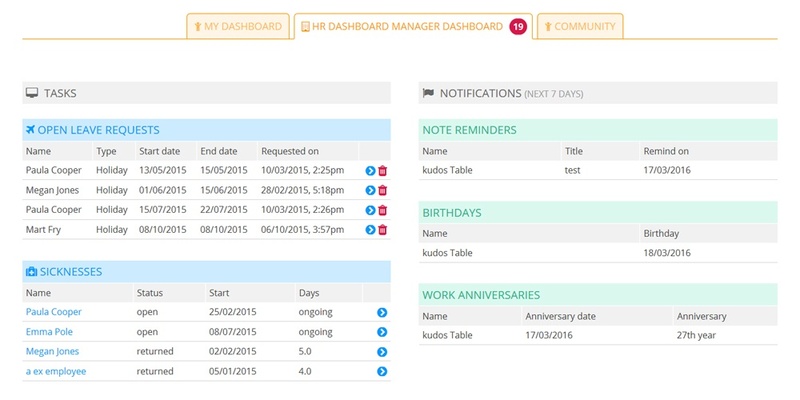 Our manager and HR dashboard clearly displays pending tasks and important notifications, like scheduled one-to-one meetings, and employee leave. Email notifications and reminders make sure you get the nudge you need to stay on track. Our user-friendly formats make sure no time is wasted getting started. With one dashboard to keep you informed, staying organised couldn’t be easier. With our user-friendly dashboard you can easily see what needs doing first. Planning and organising your day is simple, and you’ll never lose sight of what’s important. Managers can easily track tasks and see at a glance where things aren’t going to plan. Tasks can easily be shuffled, reprioritised or reallocated to get projects back on track. User permissions allow you to grant or limit access to specific features, workflows and financial information, which means everyone has the right amount of information they need to get things done. 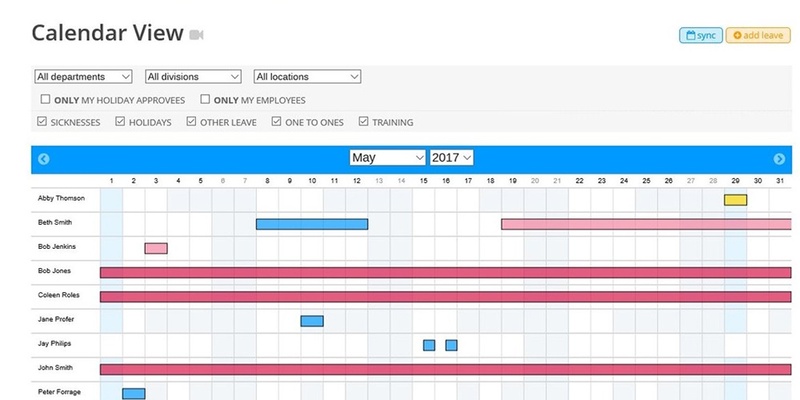 Planning resources and making the best use of employee availability is easy with our employee task management software.